U.S. Supreme Court Justice Ruth Bader Ginsburg in RBG, directed by Betsy West and Julie Cohen. Courtesy of CNN Films. Celebrity is a funny thing. Usually, it charts along one or two familiar trajectories: the discovery of some young talent, followed by either the long work of career-building or the short decline of a crash-and-burn. But once in awhile, someone captures the public imagination in a way that defies the expectations of even the most jaded celebrity observer. So it is with Ruth Bader Ginsburg, the U.S. Supreme Court Justice who, now 85, has become a pop culture icon whose face — often framed by one of her trademark jabots — now adorns everything from postcards and coasters to tote bags, t-shirts, and prayer candles. Underlining the oddity of her celebrity is that she is often referred to on this wave of merch as Notorious RBG — a nod to the late hip-hop icon Notorious B.I.G., for those of you more tuned in to NPR than rap history. But if it seems odd to tie a judicial icon to someone who lived a life steeped in criminal culture, there are similarities: both have forged groundbreaking careers on their steely determination and a deep well of courage. This week, Ginsburg fans can get a better sense of the woman behind the image by catching a screening of RBG, a new 97 minute documentary from directors Betsy West and Julie Cohen. 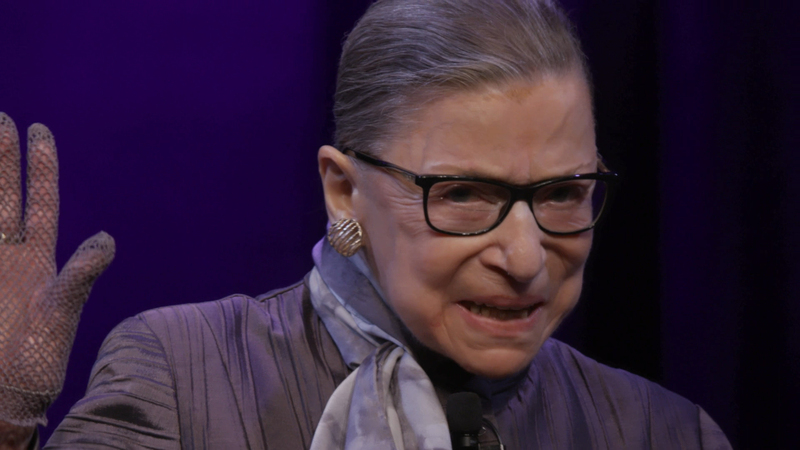 For the directors, the rise of Ginsburg felt incomplete without a deeper knowledge of where she came from, and their film is an attempt to give context and background to a career that has knocked down barriers from its early days. The film got underway in the summer of 2016, before the Trump administration came to power. Ginsburg, the directors felt, was “having her moment,” and the film, if history had gone another way, might have felt like a valediction. 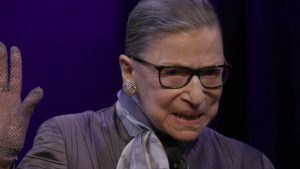 Instead, Trump won, and the question that the filmmakers’ faced the most from friends was “How is her health?” With Ginsburg’s advanced age, there was suddenly a very real fear of her retiring or leaving the court, a change that could have long-lasting meaning for the country’s liberals. 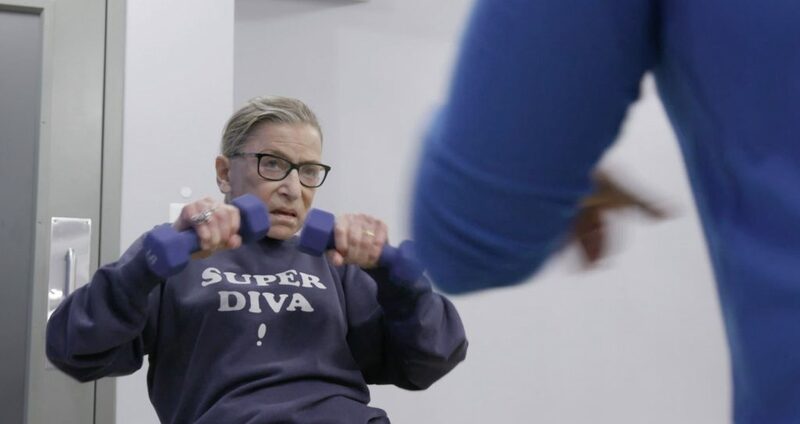 For her part, the justice has said that she has no plans to retire, and some of the film’s most touching and energizing moments come when the filmmakers follow Ginsburg to her weekly workouts, where she pumps weights while wearing a “Super Diva!” sweatshirt. She is clearly a woman with a mission in life. Learning more about what made young Joan Ruth Bader into RBG is a big part of what makes the film special, and more than just a celebration. Here is a member of the Supreme Court who, after graduating at the top of her class in law school, couldn’t get a job because of her gender. The fight for freedom from discrimination would be the stuff of her courtroom successes in the 1970s, when she won a series of decisions that put men and women on more level footing. As a justice, she has continued to call for equality, and last year wrote the majority opinion striking down a provision of the Immigration and Nationality Act that imposed different residency requirements on mothers and fathers. Through it all, she has maintained a sharp, questioning mind and a clarity that carries over to her sometimes blistering dissents (she tends to wear a particular studded collar — the “dissent jabot” — when those are set to be delivered). But perhaps the best part of the RBG phenomenon is simply that it has generated enough interest in a Supreme Court justice to lead to a film such as this. In an era of fake news and trumped up propaganda, it’s a good bet that all of us could use a bit more knowledge about the highest court in our country, and the people that are charged with deciding its cases. RBG, various dates and times, Berkshire Museum, 39 South St., Pittsfield, and Images Cinema, Williamstown.